Since 1996, Amanda and the team have trained the following horses to win or be placed in the following Listed races. Soft Centre (1st) in the Lupe Stakes at Goodwood ridden by Dane O’Neill and owned by Nicholas Cooper. 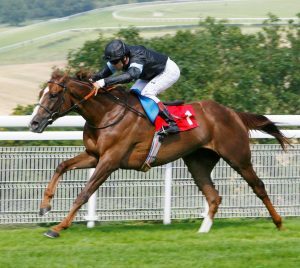 Desert Alchemy (1st) in the Oak Tree Stakes at Glorious Goodwood ridden by Seb Sanders and owned by R Grossman and S Tullah. 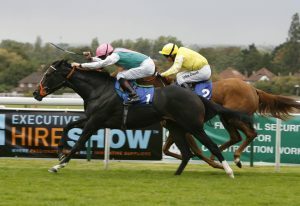 Indian Lodge (1st) in the Egerton Stud Darley Stakes at Newmarket ridden by Kieren Fallon and owned by S Cohn and Sir Eric Parker. Indian Lodge (1st) in the Joel Stakes at Newmarket ridden by Michael Roberts and owned by S Cohn and Sir Eric Parker. Welsh Diva (1st) Kleenex Tissues Rosemary Rated Stakes at Ascot ridden by Richard Quinn and owned Usk Valley Stud. Dolores (1st) in the European Breeders Fund Conqueror Stakes at Goodwood ridden by Richard Quinn and owned by Normandie Stud. 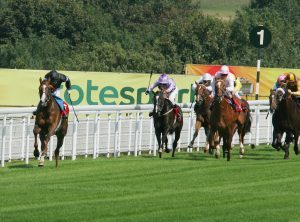 Tungsten Strike (1st) in the Windflower March Stakes at Goodwood ridden by Darryll Holland and owned by John Connolly. Autumn Wealth (1st) in the Joan Westbrook Pinnacle Stakes at Haydock ridden by Shane Kelly and owned by D J Burke. Mirror Lake (1st) in the Harwoods Racing Club and Employees Listed Stakes at Goodwood ridden by Pat Dobbs and owned by K Abdullah. Orange Touch (1st) in the Travelsphere Holidays March Stakes at Goodwood ridden by Jonny Murtagh and owned by Mrs Majella O’Doherty. Royal Storm (1st) in the Dubai Duty Free Cup at Newbury ridden by Darryll Holland and owned by Mrs H Brain. Tungsten Strike (1st) in the Unicoin Homes Noel Murless Stakes at Newmarket ridden by Martin Dwyer and owned by John Connolly. Big Moment (1st) in the CIU Serlby Stakes at Doncaster ridden by Shane Kelly and owned by R Doel, A Black, Dr J Howells, R & P Scott. Ventura (1st) in the Hyde Stakes at Kempton ridden by Jim Crowley owned by K Abdullah. Mirror Lake (1st) in the European Breeders Fund ‘Sir Percy’ Stakes at Doncaster ridden by Martin Dwyer and owned by K Abdullah. Eye Of The Storm (1st) in The Esher Stakes at Sandown ridden by Pat Dobbs owned by George Materna. Astronereus (1st) in the John Smith’s Silver Cup at York ridden by Pat Dobbs owned by John Connolly and Odile Griffith. Zhui Feng (1st) in the CPW Property Maintenance Stakes at Windsor ridden by Martin Dwyer owned by John Connolly and Odile Griffith.